Double up on your micro USB capabilities with the Micro USB B 2-Way Splitter Cable. This splitter is great for reducing cable clutter and freeing up port space. It takes a single Micro B connection (with data and power) and gives you two outputs. The longer cable has data and power brought to it. The shorter cable is only power. You can also use it just for power splitting if data is not needed, of course. 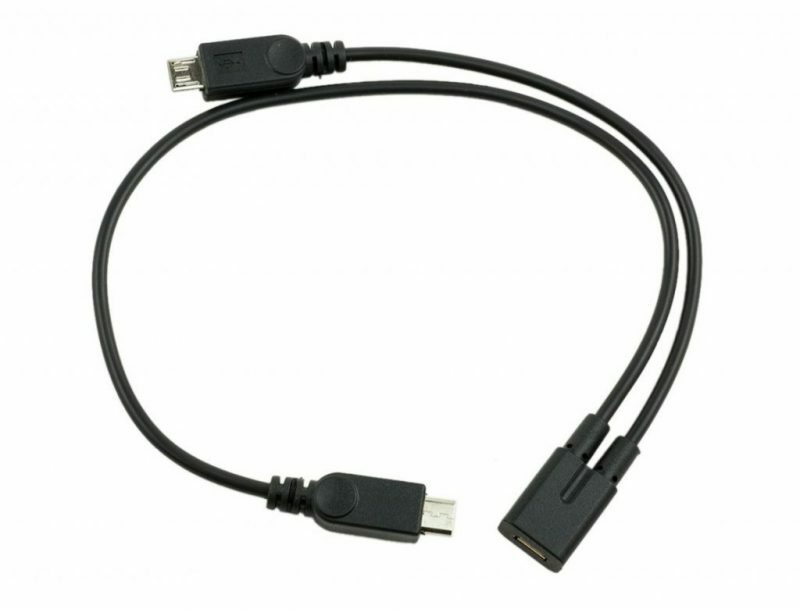 Simply connect your existing micro USB cable into one end and enjoy twice the functionality! It will work great with your Raspberry Pi or any other device that uses the standard Micro B cable for power/data.